Cabin charter in Croatia is an ideal cruising holiday option for smaller groups, couples or individuals who want to cruise along the Adriatic coast and go island-hopping around beautiful Croatian islands. You no longer need to rent a whole charter boat or have a large group of people in order to enjoy your perfect cruise in Croatia. 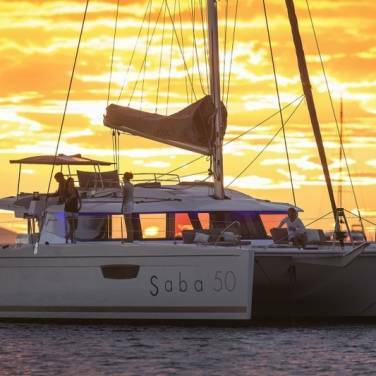 Our wide selection of cabin charter boats in Croatia range from traditional wooden sailing boats to newer sailing yachts, mini cruisers and gulets. Cabin charter vessels also differ in size and category, spanning from luxury yachts to budget charter boats of a more affordable price. 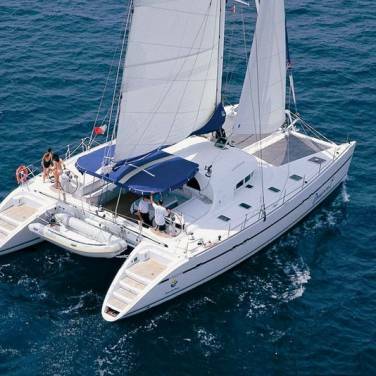 Cabin charter boats of A category have en suite cabins with private bathrooms whereas on yacht charter boats of B category charter clients usually share a bathroom. You may choose between different types of cabin accommodation, for example you can hire a single, double, triple or master cabin. Older yacht charter vessels usually have bunk beds whereas newer yacht rental boats have more spacious and comfortable cabins. 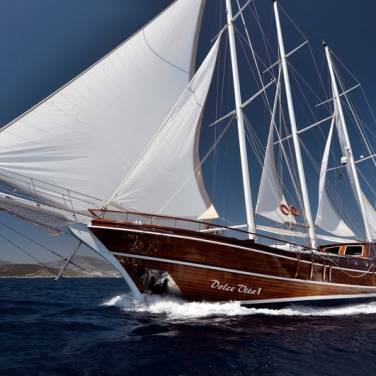 The price of cabin charter cruise in Croatia depends on the boat category, the cabin selected for rental and the itinerary. Cabin charter cruises in Croatia entail a weekly cruise (Saturday – Saturday) and the guests may choose between half board and full board charter arrangements. During your stay, you will be pampered by professional crew members whose extensive charter experience will make your cruising adventure all that more enjoyable. Including some of the most captivating cruising destinations in Croatia, cabin charter itineraries are pre-arranged and cannot be altered. However, you will have access to secluded beaches and idyllic hideaways and you will also dock in fascinating ports of Split, Dubrovnik, Trogir and many more fascinating coastal towns. Beyond the sheer pleasure of discovering new destinations every day, cabin charter cruises in Croatia also give you the opportunity to enjoy the perfect combination of lounging, swimming, sunbathing, sightseeing and engaging in various sports activities, allowing you to fill your holiday moments with as much relaxation and excitement as it suits you. With cabin charter you can spend a week cruising along the splendid Adriatic shoreline, meet new people who share the same excitement for sailing and enjoy a cruising holiday that will exceed all your expectations.